let us all beseech the Almighty with all our strength. and with fatherly love give us the kingdom of heaven. Whose glory echoes through all the world. Amen. 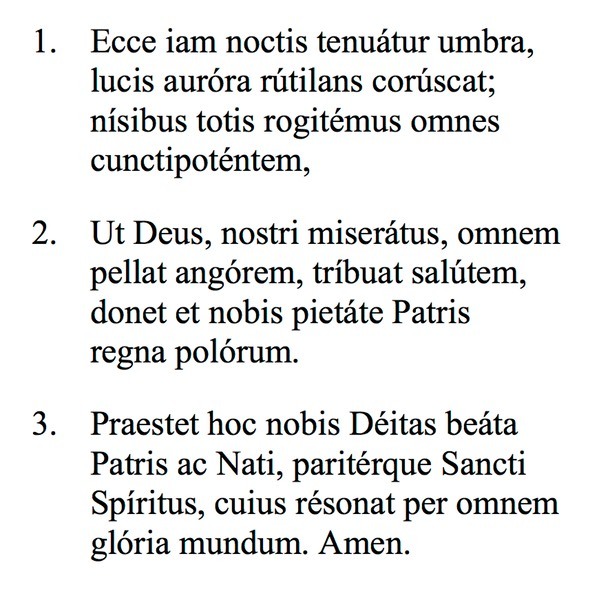 Note: The Latin text is from the Liber Hymnarius (Abbaye Saint-Pierre de Solesmes, 1998, page 212) and used with permission from The Abbaye Saint-Pierre, Solesmes, France. To obtain the music with updated notation, please purchase the Liber Hymnarius ( solesmes.com ).